Includes "Love Someone," "Hello, You" "Beautiful Thing"
The fifth full-length release for the singer-songwriter includes a cover of Boyz II Men's "It's So Hard to Say Goodbye to Yesterday." One of the world's hardest working and most beloved artists, Jason Mraz's journey has propelled him from the San Diego coffee house scene to arenas, amphitheaters, and stadiums all over the world. 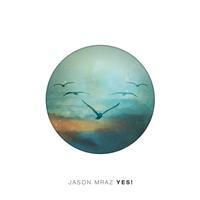 A two-time Grammy Award winner and six-time nominee, Mraz made pop history with his record-breaking classic single, "I'm Yours," while also earning platinum and multi-platinum certifications in more than 20 countries. Moreover, Jason has proven a truly diverse creative presence. A dedicated surfer, farmer, photographer and songwriter, Mraz is first and foremost a committed global citizen. His impassioned social activism and philanthropic efforts span wide-ranging environmental advocacy and ardent support for LGBT equality. Though it all, Jason Mraz continually confirms and celebrates music's myriad forms and miraculous power, inspiring and delighting his countless fans around the world he calls home.